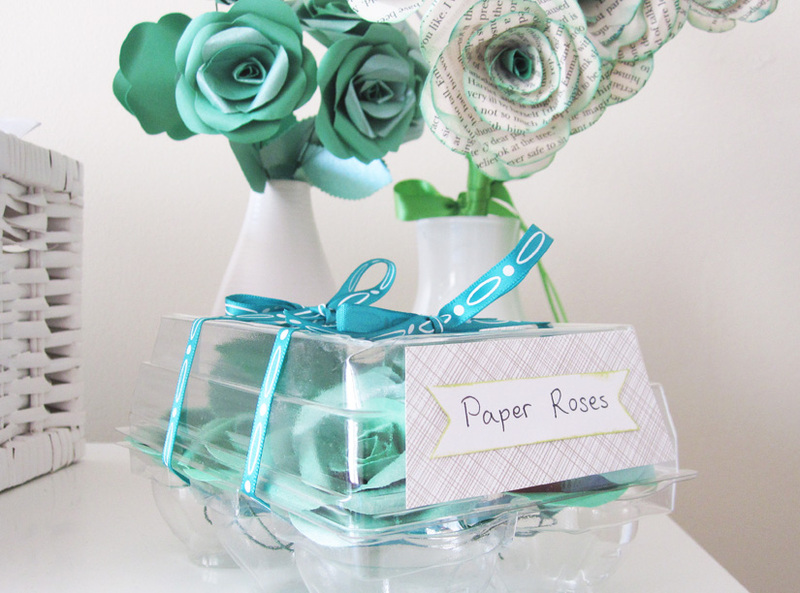 Green roses - the very first I've ever made - are packaged neatly in a re-purposed egg packaging and will go to a very creative bride named Heidi. 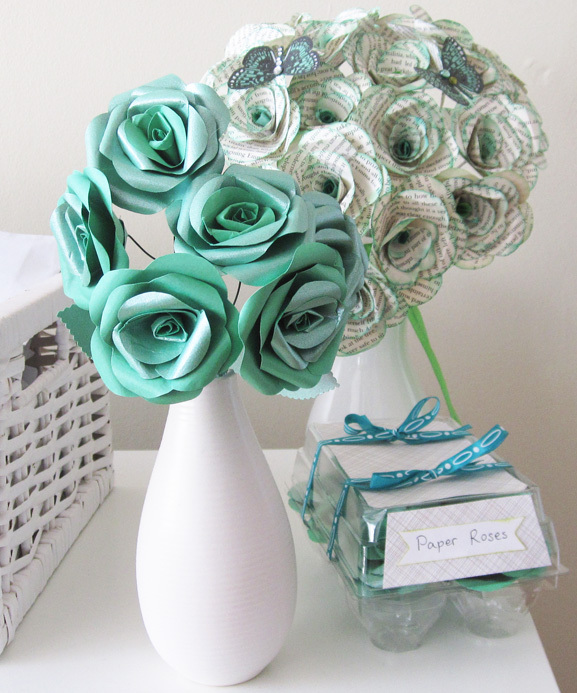 These flowers (12 in total) are part of an emerald book paper flower collection for a special summer wedding. 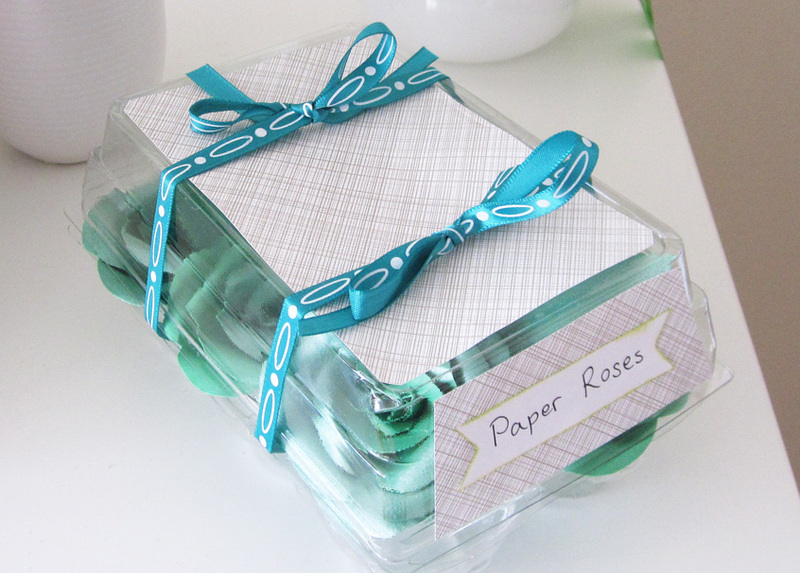 Made from emerald papers in matte and shimmer green. 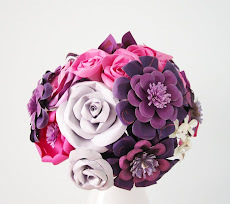 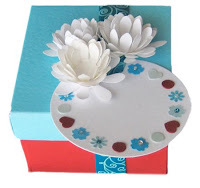 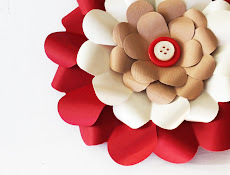 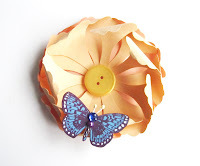 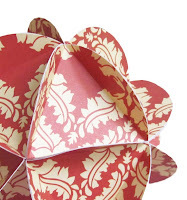 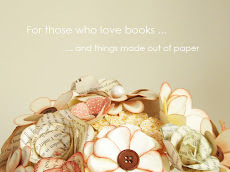 You can see the book paper flowers bouquet here.